In these times of austerity there is little money available for the arts. Despite this many towns in the UK have their own centres which are a haven for struggling artists to showcase their work. One such place is The Phoenix Cultural Centre in Woking which opened its doors in early June. 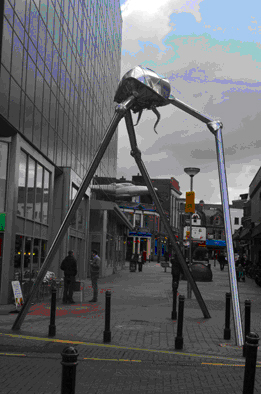 The town has always provided places for art to flourish. There is a notable Martian statue near the main square, musicians such as The Jam hail from here and the writer H G Wells set the beginning of his novel “The War Of The Worlds” on nearby Horsell Common. 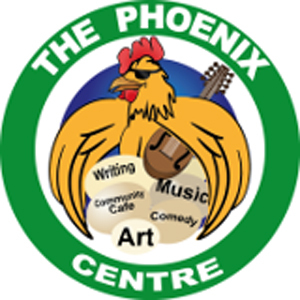 Yesterday I spent a wonderful evening at the Phoenix centre listening to live music. I even recited a couple of poems and sold one of my audio books. It is encouraging to find that there are still opportunities for artists to take advantage of the local facilities available.